They sound French and terribly complicated. ...Ok...well...they are French, but they're not complicated! At least, not if you use this recipe. It makes 2 baguettes and take around an hour (2 max) from start to finish. 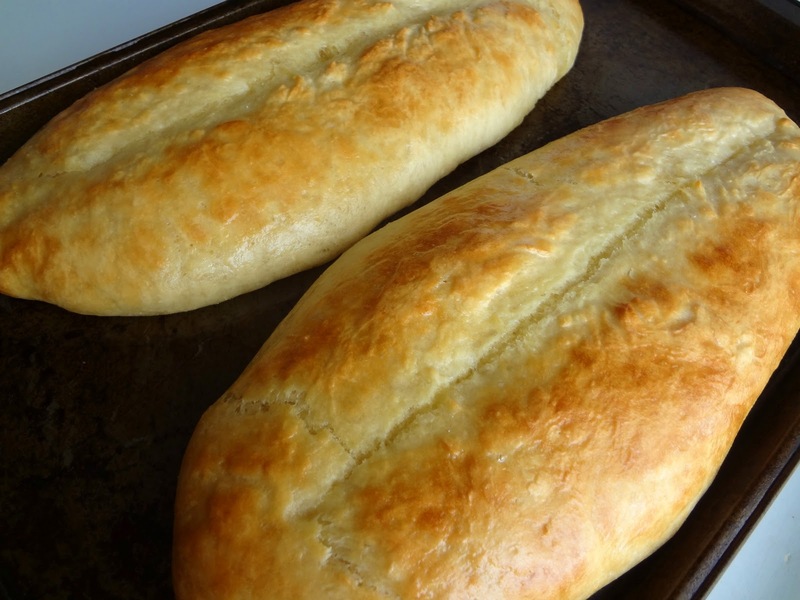 1 hour and then you have delicious, fluffy, buttery bread. Some of the best bread I've ever had (not even mentioning made). And this is such a great, simple, base recipe that you can totally play around with it. I have made these baguettes with various ratios of whole wheat and AP flour (I've done entirely whole wheat, entirely AP, and everything in between. My favorite has about 1 1/4 cup whole wheat flour and the rest is AP.) I bet you can also experiment with putting cheese or other add-ins as well. All that matters is that this bread is golden and crisp on the outside, and incredibly fluffy and chewy and soft inside. Michael and I are crazy about this bread. I seriously just made it a few days ago. It's so good. We've used this bread to dip in my spinach artichoke dip (in which case I make these mostly/entirely whole wheat) or soup, as toast, warm with butter (my favorite way), in sandwiches, French toast, or any way you can imagine! A couple days ago Michael had it for breakfast with cut tomatoes on top. He was so happy, lol. 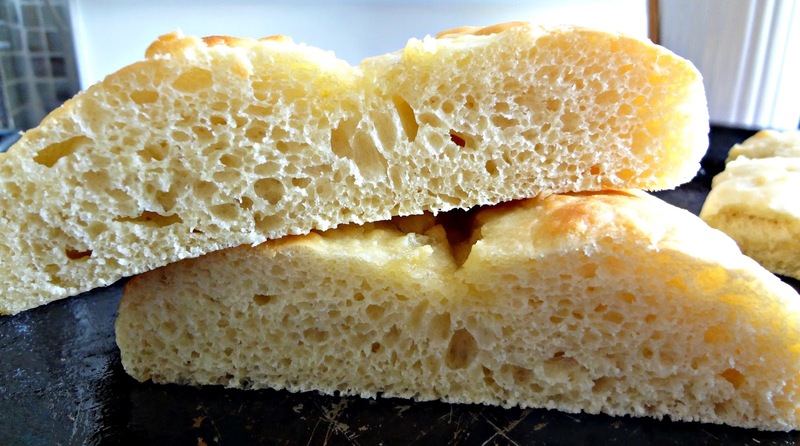 This recipe is a great idea if you're a beginner at baking yeast breads. It's nearly foolproof. And it's awesome so....yeah, duh. Adapted slightly from The Sisters Cafe's "Baguette"
3 1/4 cup flour (all-purpose provides fluffiest results, and a bigger rise, but you can use any ratio of all-purpose and whole wheat flours, I've even used entirely whole wheat flour and it was still good-just smaller). Optional: 1 tbsp. butter, melted, to brush on bread. Mix warm water, yeast, and sugar. Let it sit 5 minutes until foamy. 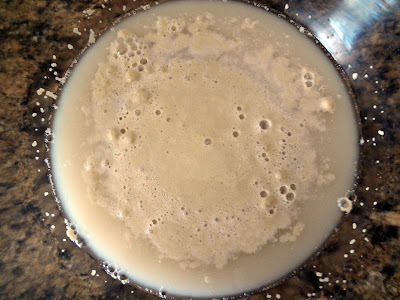 (If it does not become foamy your yeast is dead and your bread will not work). Knead for 5 minutes, using additional flour if needed. 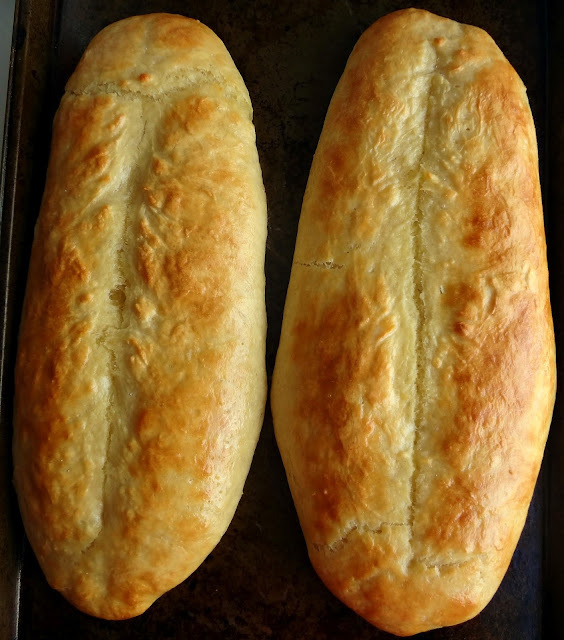 Cut the dough in half and shape into 2 baguettes: to make them pretty, " ...roll each half of dough into a rectangle and roll up lengthwise. Pinch the edges to seal and place on lightly greased cookie sheet (or silpat) with seam down." Loosely cover and allow to rise in a warm place for 30 minutes (if using whole wheat flour you may want to give it 1 hour). Once risen, use a sharp knife to make a slash down the middle of each baguette. Fill a 2nd cookie sheet with water and place it on the bottom rack of the oven. Once preheated, place the cookie sheet with the baguettes on the middle rack and bake 7 minutes. 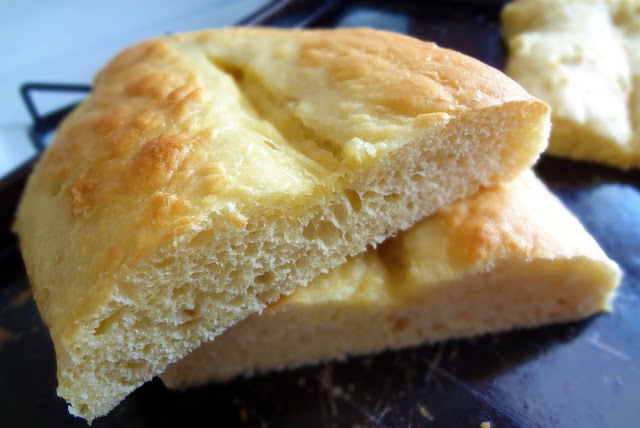 Brush the partially baked bread with butter, if desired. Bake an additional 8 minutes, or until golden brown. ...ok...that's like all I know.